The City of Hollywood holds the infamous distinction of having various streets named in honor of individuals who took up arms to perpetuate slavery by fighting for the Confederacy. Along with various community groups and individuals from Hollywood, the Alliance, the Broward Green Party and others have been working in a campaign to replace these street names. There are three streets targeted, Forrest, Hood, and Lee. 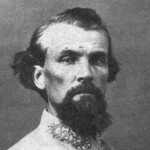 While Robert E. Lee’s name has sometimes drawn scrutiny over the years, the lesser known name of Nathaniel Bedford Forrest is particularly hateful. Forrest, by all accounts, became a millionaire by trading slaves and running plantations. When he joined the Confederate Army, he poured his own money into arming troops under his command, to defend his genocidal livelihood. He was also accused of massacring Black Union soldiers. The issue of Confederate symbols came to the forefront following last summer’s massacre at Emanuel African Methodist Episcopal Church in Charleston, South Carolina. Sometime later there were reports on local media many of these street signs in Hollywood were blacked out. The BLMAB, the Green party and other groups and individuals from the community have gone to several Hollywood City Commission meetings in 2015-2016 to demand changes. 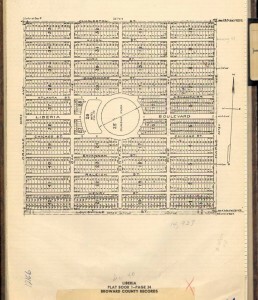 Original maps of city plans by the city’s founder Joseph Young from the 1920’s prove that the City had different names in the planned black neighborhood of Liberia. Decades later the original names of the streets were replaced with these Confederate figures from the confederacy. All these street names changes happened in another time of rising, vicious, racial tensions, which later saw the reemergence of popular use of the confederate flag. Sadly this entrenched legacy is still with us, but must be taken down and replaced!